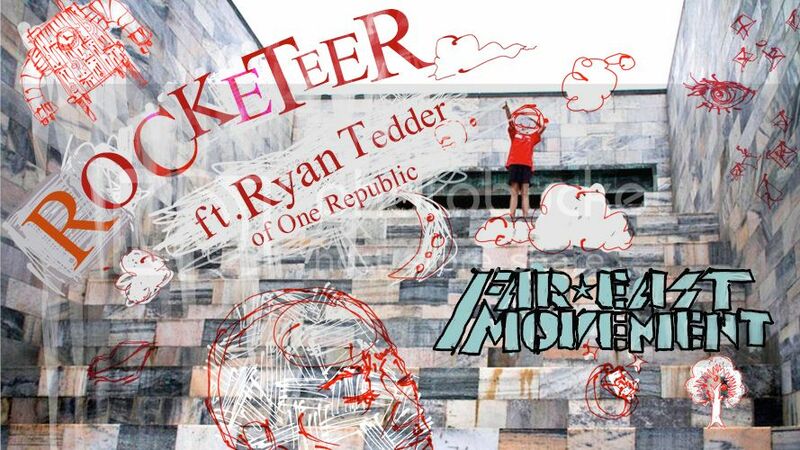 Far East Movement released the Rocketeer music video today. The highly anticipated and inspirational video is dedicated to the dreamers that do anything for who and what they love. It takes you through Free Wired Downtown LA via skateboard to some of Far East Movement’s favorite spots that inspire them from art galleries to cafes to restaurants to party locations. On the journey, you see the many FM supporters in their hood. Not only does the Rocketeer music video feature Ryan Tedder of One Republic, but you’ll also see cameos from the many members of the Free Wired family including legendary DJ Quik, Estevan Oriol of SA Studios, painter and nomad David Choe, Dj Eye, The Stereotypes, Martin Kierzenbaum aka Cherry Cherry Boom Boom, Cherrytree Team, Ted Chung and Russell Redeaux of Stamepede Management, Transparent Agency, Big Boy and Dj Eman from Big Boys Neighborhood, Ben Baller, DJ Homicide, Shaun Neff of Neff Clothing, skater Greg Luska, Wong Fu Productions, Quest Crew, Colette Carr, Frankmusik aka Vincent Frank, Orisue, Joy Rich, Bobby and Ben Hundreds, Pac Div, Dom Kennedy, U-N-I, Nerdswithswag, Tokyopop and more. That’s a whole lotta fam. Look for it on Monday, November 1, 2010 on the front page of Youtube.com. Stay Free Wired! Pick up Rocketeer on or Amazon. The track features Ryan Tedder, is produced by the Stereotypes, and co-written by Bruno Mars. See more music videos from Far East Movement including Like a G6, Girls on the Dance Floor, Dance Like Michael Jackson, Fetish, Lowridin’, F*ck the Robots, and I Party. This entry was posted in music on October 31, 2010 by Kevin Hsieh - channel APA. Here’s a Halloween joint “Trick or Treat?” by dumbfoundead x Wax. It’s a funny song to keep the weekend lighthearted. It pokes fun at how women dress during Halloween with the skimpy outfits. You can download “Trick or Treat?” FREE here. This entry was posted in music and tagged dumbfoundead on October 31, 2010 by Kevin Hsieh - channel APA. Slumdog Millionaire‘s Dev Patel stars in the action packed short film “The Commuter.” The groundbreaking film was shot in just four days entirely in mobile HD with the Nokia N8 smartphone using no back up cameras, with the streets of London and St Albans providing the backdrop to Nokia’s story about one commuter’s eventful journey to work. Along with Dev Patel, “The Commuter” stars Ed Westwick (Gossip Girl) and Pamela Anderson (Baywatch). It’s pretty amazing how far we’ve gotten with technology that short films can be shot with mobile phones. The cameramen on the set used an adapted steadicam system to hold the Nokia N8, which was used as the sole device for filming. The N8 features a 12 MP camera and stunning high definition 720p video. Previously, Nokia used some nice special effects for the Nokia N96 to show Bruce Lee lighting matches with nunchucks and Bruce Lee playing ping pong with nunchucks. This entry was posted in shorts on October 31, 2010 by Kevin Hsieh - channel APA. Aziz Ansari and Kal Penn along with a bunch of other celebrities tells you why you should vote. It only takes only 10 minutes to vote. There are worse ways to spend 10 minutes. This PSA take s comedic approach to remind you to vote on November 2, 2010. In the video, look for Aziz Ansari, Kal Penn, Adam Scott, Michael Pena, Donald Glover, Alyssa Milano, Rose McGowan, Ron Livingston, Gillian Jacobs, Brad Goreski, Criss Angel, Chris Gorham, Eric McCormack, Eriq La Salle, Mary Lynn Rajskub, Lake Bell, and Adrienne Maloof. Get out and vote. This entry was posted in politics, PSA on October 31, 2010 by Kevin Hsieh - channel APA. Behind every great artist is an even greater businessman. 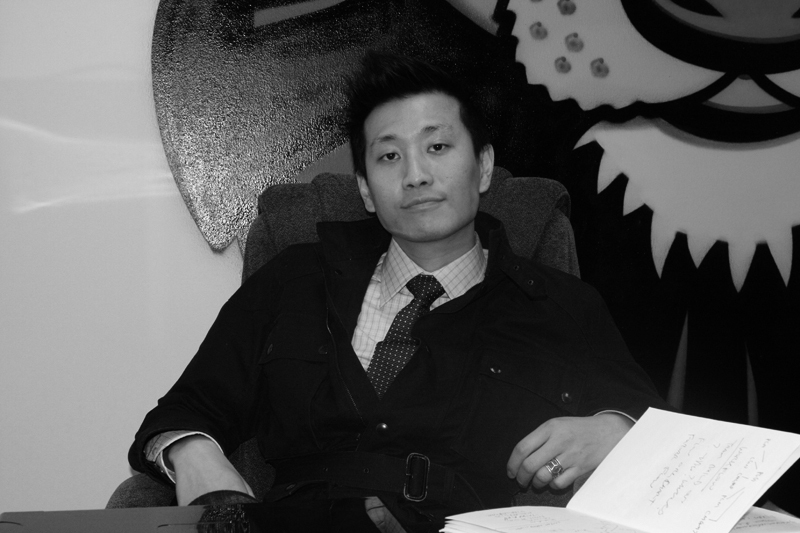 In the entertainment field, especially in the Asian-American market, that man is Carl Choi. Once a senior executive at Lions Gate Entertainment and Andersen Business Consulting, Carl then branched out to form his own business. He is now co-founder and CEO of Plan C Group, “the next generation in Asian Pacific American marketing”, and Catch Adventures. He managed and molded Far East Movement, a group who is now taking over the airwaves with Like a G6. In addition, Carl Choi is the man that won the battle of labels to sign web sensation, Joseph Vincent. In addition, he is the manager of platinum rapper, Jin the MC. It seems like a pretty big list of accomplishments, but I have yet to even scratch that surface. This man did something that many view as almost impossible, as only a select and gifted few have done it. He broke into the entertainment field, music and movies, and then created numerous successful companies, signing various artists and making them stars. After speaking to this man, I decided, during our discussion, to eliminate one question – who was his mentor? Because this man seems like a born leader. He doesn’t demand it, but he carries a certain presence that commands attention. What seems to balance him as the ultimate businessman is his intelligence, respect, and passion to helping our youth. Meet Carl Choi, the man behind the music. When I was a young boy in Hong Kong, around seven years old, I knew I wanted to be in entertainment. I just didn’t know what I wanted to do there. Tell me about some of your role models when growing up. When I was growing up in Hong Kong, it was Chow Yun Fat and Steven Chow. Then when I moved to America, it was Jean Claude Van Dam, Guns N’ Roses, Van Halen, and Led Zepplin. So how did you get started in the entertainment industry? It was by accident. When I was a kid in America, I used to look for Asian actors in television shows because they were so sparse. I reached out for that. So I knew I wanted to be in entertainment and bridge that gap. When I was 16 years old, everyone used to congregate at the clubs. I was amazed when I went there. I loved it, but I was the only Asian kid there so I brought out my other Asian friends. And they were just amazed by it too. I used to throw parties at USC. Eventually, one thing led to another. My party promotion experience and love of the clubs turned into promoting parties at the club. How did you and rapper, Jin, go from friends to a professional relationship? I went to a show and saw Jin before he was even signed. I was so excited that I was just jumping around like a kid. Once I left, I found that my phone was gone so I called it and someone picked up. They said to meet them in front of the club to get the phone. I pull up in front and Jin was the one who handed me back the phone. [Exchanging numbers], I started booking Jin for the parties I would throw. [Shortly after], I became his booking agent and traveling the world with him. Far East Movement has been making quite a splash in the United States. Tell me about the journey from their beginning to the status they hold now. [When they were starting out], Far East Movement asked me to promote and mange them. We went through a lot of evolution. My company released two albums and two mixtapes for them. By the time they were ready to be signed, every label executive knew who they were. They ultimately signed with Interscope Records. [Pauses] There have been too many. I have been through so much. Some of them include walking the Great Wall of China and traveling through Asia with Jin. You have been called the “Asian Russell Simmons”. How do you feel about that? I just want to be the Asian Carl Choi. (Laughs) No, I really respect Russell Simmons, but I want to have my own identity. You are certainly a force in the Asian-American market. I’ve heard you say that “the Asian face will be the global face of the future”. Can you elaborate on that statement? [The Asian population is the largest in the world and growing everyday.] I think the media should reflect the growing number of Asians. You are also in the movie industry as co-founder of Asian Digital Ventures Network. What made you want to get into so many avenues of entertainment, from movies to television to music? Do you plan on dabbling in other professions as well (clothing line, endorsements, etc…)? Fashion has always been my hobby but I have been careful. I usually turn my hobby into my way of life. My brand becomes my business. Partying used to be my hobby. [So with fashion], I am hesitant because I want to be careful when I state it. If there was an aspiring individual who wanted to be in the entertainment industry, what would you tell them? I’m going to say what someone once told me. He asked what I wanted to do and then if I had a plan. I said I was going to try to take them to the top. And he said, “Don’t try. Did Nike try? What did Nike do?” I replied, “Just do it”. So that’s what you have to do – just do it. [Also], this is not about a 9 to 5. Do not expect to break a [big] profit in the first five years. It may happen later. It may happen earlier, but it will happen. This is a real career that comes down to you persistence and passion. It’s about persistence, timing, and divine intervention. Tell me some of your ultimate goals, professionally and personally. Professionally, I would like to be part of a global brand. Personally, I want to be there when the good guys win. With “one leg in Hong Kong and one leg in the United States”, how do you fit personal time in? I do want down time, but this [work] is my personal time. I’ve come to accept that this is my life. I understand it and I am passionate about my work. This is not your average 9-5. I have already traveled to Hong Kong sixteen times this year. It was Brazil, then Australia, but I’d have to say [now] L.A.
God Bless and be good. This entry was posted in interview, music on October 31, 2010 by zoey_flowers. Yet another music artist is giving a shoutout to Far East Movement. 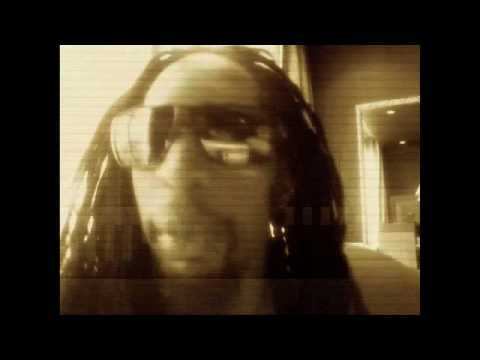 This time it’s Lil Jon, who is on the Go Ape track off the Free Wired album. He gives his full support to Far East Movement. This follows Snoop Dogg and Bruno Mars reppin’ FM. In addition to shoutouts, major music artists are remixing Like a G6 including 50 Cent and Three 6 Mafia. Show your support by copping the Free Wired album on or at Amazon. Stay Free Wired. Three fingers up! !